Why did God create a world He knew would turn its back on Him and suffer through its own sin? "Love Me Back" attempts to explain what God was thinking when he created us. This poetic narrative takes us into the heart of God, through man's struggle with sin and toward redemption with Jesus Christ. Additional text explains the loving nature of God with emphasis on our free will to choose what we believe. 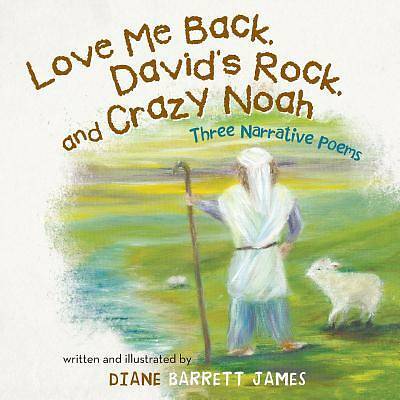 "David's Rock" and "Crazy Noah" bring the two men to life and end with proof texts and details that suggest similarities among David, Noah, and Jesus. This book takes these well-known stories to the next level of understanding of how the Old Testament foreshadows the New Testament and the life of our Lord. Hopefully it will also help bridge the gap of understanding of God during the age of accountability in the lives of young adolescents. Original oil paintings by the author are included.